When I was younger Santa Clause brought me a teachers set for Christmas. It included a bell, report cards, a lesson plan book, stickers, and all sorts of fun things that any aspiring teacher would need. I played "school" with my brothers at the kitchen table. When they wouldn't play with me I would have imaginary students and play alone in my bedroom. I loved that teachers set, not so sure my brothers did. Growing up I always wanted to be a teacher. I taught preschool for a couple of years and loved it. But life took me on a different trek and I ended up in the corporate world. It is funny where we end up sometimes and usually it looks a lot different than we have dreamed. The part of me that always wanted to be a teacher still lives deep in my heart. I see it come out time and time again and my mind wanders to what life would be like if I was. I never gave up on that dream even though now it looks very different than it looked when I was ten. Beginning Sunday, September 15th - October 19th I will be in the virtual classroom. Teaching about something that is near and dear to my heart, writing. Writing is a life line for me. A tool that helped me work through so many moments in my life and a tool that I turn to almost daily. I am so grateful for the page. 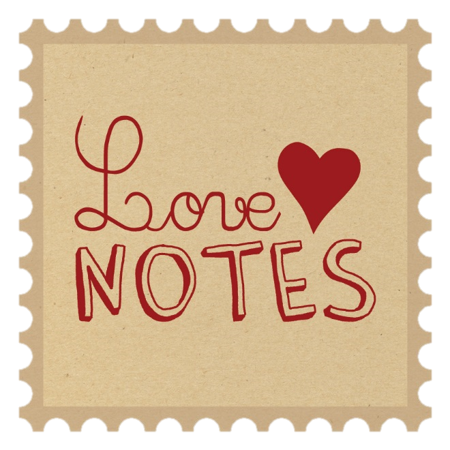 In Love Notes Special Delivery, an online writing class, we will go on a journey to discover the healing powers of the page. We will look at the stories we tell ourselves. Take the pen into our own hands and rewrite some of those stories. We will also give voice to the dreams that are living in our hearts. And use our words to express the love and appreciate we have for those around us. It is going to be an incredible journey. All lessons will be delivered via email so that you have them forever. There will also be a sacred space online where the lessons will live and a place where we can gather and share our writing. I am so excited to be teaching this class and so grateful for the individuals who are coming along on the journey with me. for some more details or simply jump on in and sign up. I would love for you to join us.